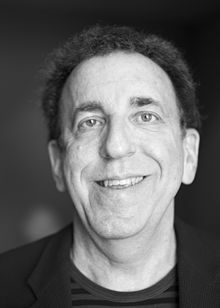 Dean Michael Ornish (born 16 July 1953) is an American physician and researcher. He is the president and founder of the nonprofit Preventive Medicine Research Institute in Sausalito, California and a Clinical Professor of Medicine at the University of California, San Francisco. Comprehensive lifestyle changes may be able to bring about regression of even severe coronary atherosclerosis after only 1 year, without use of lipid-lowering drugs. "Can lifestyle changes reverse coronary heart disease?" (Ornish et al. ), The Lancet (21 July 1990). I don't understand why asking people to eat a well-balanced vegetarian diet is considered drastic, while it's medically conservative to cut people open or put them on powerful cholesterol-lowering drugs for the rest of their lives … Animal products are the main culprit in what is killing us. We can absolutely live better lives without them. Quoted in Roberto Suro, "Hearts and Minds", New York Times Magazine (29 December 1991). Our research has shown that your body often has a remarkable capacity to begin healing itself—and much more quickly than people once realized—when we address the underlying causes of illness. For many people, the choices we make each day in what we eat and in how we live are among the most important underlying causes. When most people are prescribed medications to lower their blood pressure, cholesterol, or blood sugar, they are usually told, “You will have to take this for the rest of your life," often in ever-increasing dosages. Why? Because the underlying causes are not being addressed. When I lecture, I often show a slide of doctors busily mopping up the floor around an overflowing sink without also turning off the faucet. The Spectrum (New York: Ballantine Books, 2007), p. 16. In addition to preventing many chronic diseases … comprehensive lifestyle changes can often reverse the progression of these illnesses. … Changing lifestyle actually changes your genes—turning on genes that keep you healthy, and turning off genes that promote heart disease, prostate cancer, breast cancer, and diabetes—more than five hundred genes in only three months. People often say, “Oh, it's all in my genes. There's not much I can do about it.” But there is. Knowing that changing lifestyle changes our genes is often very motivating—not to blame, but to empower. … [Our approach is] not like there was one set of dietary recommendations for reversing heart disease, a different one for reversing diabetes, and yet another for changing your genes or lengthening your telomeres. In all of our studies, people were asked to consume a whole-foods, plant-based diet … It's as though your body knows how to personalize the medicine it needs if you give it the right raw materials in your diet and lifestyle. … And what's good for you is good for our planet. To the degree we transition toward a whole-foods, plant-based diet, it not only makes a difference in our own lives; it also makes a difference in the lives of many others across the globe. Introduction to Marco Borges, The 22-Day Revolution (New York: Penguin, 2015). This page was last edited on 12 July 2018, at 15:12.